Attorney Nicholas S. Frasca – Nick has been a practicing attorney since 2002. He specializes in real estate matters with a particular emphasis on commercial and residential lending and finance, leasing, land use and development, resolution of complex title issues and litigation. He represents lenders, banking institutions, private investors, developers, businesses and individuals on a wide range of legal issues. He also assists clients with estate planning and business law matters. He is very active in the community. Nick currently serves on the Board of Directors for The Front Door Agency and is the Past President of the Board of Directors of the Youth Council. He is on the steering committee of the New Hampshire Russia Rule of Law Commission. Nick is fluent in Russian, having lived in Russia in the late 1990s. Nick and his wife Sasha enjoy traveling with their kids, Polina and Max, and cruising the streets of Nashua on their bikes. Attorney Stephen J. Frasca – Steve has been a resident of Nashua, New Hampshire since 1973. He graduated in 1970 from Northeastern University with a B.A. in Business Administration. In 1973 he received his Juris Doctorate from Suffolk University Law School. Upon graduation he was admitted to practice law in the State of New Hampshire and the Commonwealth of Massachusetts. He has been a principal in the firm of Frasca & Frasca, P.A. since 1978 where he specializes in real estate conveyance and finance, business organizations, and mediation. He currently practices with his son, Nicholas Frasca. Mr. Frasca has previously served as a Director of the Boys Club of Nashua and was a member of Nashua Rotary West. He is a member of the Nashua Country Club where he served on the Board of Governors for ten years and as its Secretary for six years. He is a member of the New Hampshire, Massachusetts, Nashua and American Bar Associations. 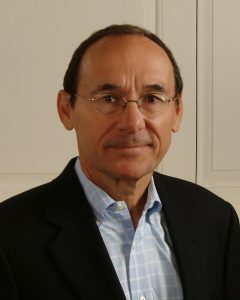 He is a founder of The Nashua Bank and served as Chairman of the Board from 2007 to 2012. He currently serves as a Director of New Hampshire Thrift Bank and Lake Sunapee Bank. He also serves as Director of Home Health and Hospice Care of Greater Nashua. Mr. Frasca has been married to his wife Jane since 1970. They have three grown children and eight grandchildren. Steve and Jane enjoy spending time with their family at Lake Winnipesaukee and taking advantage of the many cultural events offered in greater Nashua. 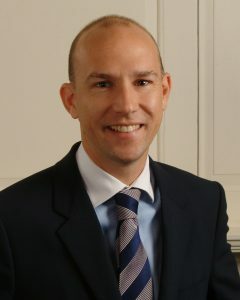 Attorney Tyler K. McAfee – Tyler is a Nashua native and a graduate of Nashua High North in 2010. He studied political science at the University of New Hampshire and graduated with a bachelor’s degree in 2014. He went on to study law at the University of New Hampshire School of Law and graduated in 2017. He then passed the bar exam that summer and was admitted as a member of the New Hampshire Bar Association in November, 2017 and began practicing law shortly thereafter. He is an avid golfer, loves watching the Boston Red Sox, and enjoys reading historical non-fiction. Josie A. Estes, Paralegal – Josie joined our team in January, 2017, assisting the attorneys in several areas of law, including Business, Estate Planning, Probate, and Seller Representation Real Estate transactions. Josie has additional background in Civil Litigation, Family Law, Guardianships, Landlord/Tenant, and Personal Injury. Josie graduated with an Associates of Science degree from Hesser College in 2011, joining the Paralegal Association of New Hampshire (PANH) soon after. She served on various committees for the PANH as well as serving on their Board of Directors as Secretary, Vice President, and the PANH Primary Representative to the National Federation of Paralegal Associations (NFPA). Josie served for several years as a NFPA Continuing Legal Education (CLE) Coordinator prior to her election as a member of the NFPA Board of Directors in 2015. As the Region V Director to NFPA Josie is responsible for helping the eleven (11) NFPA local associations within New York, Rhode Island, Connecticut, Massachusetts, Vermont, and New Hampshire and is the main liaison between these member associations and the other Board members. Josie also assists with the PANH’s access to justice initiative, volunteering at the 9th Circuit Court- Probate Division in the Paralegal/Estates Volunteer Project. In her spare time Josie enjoys spending time with her husband Bob, and their two adult children, Angela and Joseph.